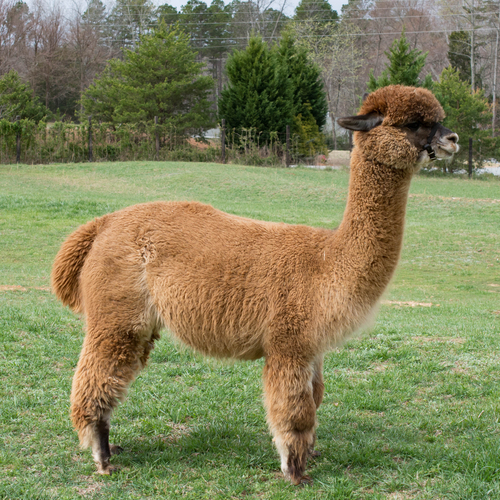 "The most advanced alpaca fleece I've seen anywhere in the world"…these are words a famous international judge used to describe Jeremiah's elite bundling fleece, and these comments have been echoed by other senior judges. "Closest to merino I've ever seen" is another comment frequently heard. Jeremiah has won nine championships, Judges Choice, and Best Crimp awards under some of the best judges in the world in the toughest competition in the world. Jeremiahs first offspring have already won numerous championships for Magical Farms and Majestic Meadows in colors from black to white. Jeremiah does it again! 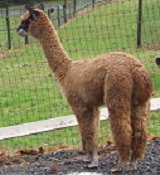 2010 Dark Herdsire of the Year!